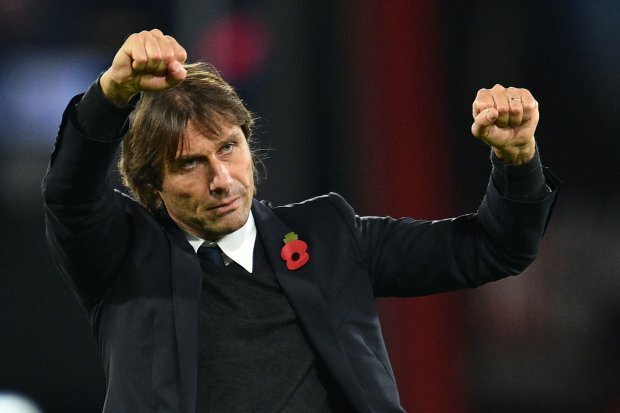 Antonio Conte is an uncompromising man, and in his 16 months as Chelsea head coach the Italian has shown on numerous occasions he is prepared to fight to protect what he sees as his club's interests, even if it ends up making him a few enemies along the way. David Luiz heads into the November international break on the naughty step after being dropped against Manchester United, while technical director Michael Emenalo made the surprise decision to step down amid significant tensions between Conte and the Chelsea hierarchy -- though the relationship between the Nigerian and Conte did not reach the stage of those below. Given the personalities involved, it was surprising that we had to wait until January of last season before Conte's patience with Costa snapped. Tensions boiled over at Cobham following a bid from Chinese Super League club Tianjin Quanjian, and Costa was dropped for Chelsea's 3-0 win over Leicester City. An uneasy truce was struck for the sake of the club's Premier League title charge, but both sides knew to expect a parting of the ways last summer. Conte's infamous text message confirming Costa wasn't in his plans riled the Brazilian, who refused to leave his home town of Lagarto to report for preseason training as he attempted to force through a move back to Atletico Madrid. Atletico's reluctance to meet Chelsea's asking price prolonged Costa's exile and overshadowed Conte's summer, but agreement was finally reached in September over a fee in the region of £58 million. Conte had the last word, as Chelsea beat Atletico 2-1 in a dramatic Champions League clash at Wanda Metropolitano Stadium with Costa's replacement Alvaro Morata scoring and the Brazilian watching sullenly from the stands. A recurring theme of Conte's first season at Chelsea was his reluctance to engage in any public spats with rival coaches, but the fiery Italian has made an exception in recent months to bite back at Manchester United manager Jose Mourinho. The initial flashpoint came with Mourinho's first trip back to Stamford Bridge in October 2016. The Portuguese boss chastised Conte on the pitch what he perceived as over-celebrating in the final minutes of Chelsea's 4-0 demolition of United, waving his arms to raise the volume of the Stamford Bridge crowd. Mourinho has rarely missed an opportunity to take thinly veiled shots at Conte since, pointedly praising the Blues for playing "defensive football and counterattack football" and referring to managers who "cry and cry and cry" about injuries. It was the latter comment that finally drew a response from Conte, who said Mourinho should think more about United and less about Chelsea. Conte has had the upper hand over Mourinho on the pitch, beating him twice in the Premier League and once in the FA Cup at Stamford Bridge. At the final whistle of Chelsea's win on Sunday, he ignored the United boss as he marched on to the field to congratulate his players. Even in light of the rollercoaster nature of his Chelsea career, John Obi Mikel's final six months at Chelsea were strange. Having re-emerged as a significant first team figure under caretaker boss Guus Hiddink, Mikel was hoping to continue his revival under Conte when he returned from leading Nigeria to a third-place finish at the Rio 2016 Olympic football tournament. But having missed all of Chelsea's preseason to represent his country, Mikel quickly found himself out of Conte's plans, with the Italian eventually neglecting to include him at all when listing his central midfield options in news conferences. Nigeria manager Gernot Rohr claimed that Conte was punishing Mikel for the decision to put his country over his club. His accusation was angrily denied by Chelsea, but no alternative explanation was offered and the midfielder remained a glorified spectator before joining Tianjin TEDA in January. The latest big name to find himself on the wrong side of Conte, Luiz was left out of Chelsea's squad entirely for Sunday's win over United despite being fit, with 17-year-old Ethan Ampadu taking a spot on the bench ahead of him. Conte insisted after the match that leaving out Luiz was purely a "tactical decision", but reports suggest the two men clashed in the wake of Chelsea's humiliating 3-0 away defeat against Roma in the Champions League. Luiz watched the United win from the stands alongside Kenedy, who also reportedly incurred Conte's wrath after being caught yawning during the team meeting that followed the Roma loss. Conte's selection gamble paid off against United with academy graduate Andreas Christensen producing a nerveless performance in Chelsea's 1-0 win, intensifying the speculation about Luiz's long-term future at Stamford Bridge. Conte has made no secret of his dissatisfaction with Chelsea's thin squad, and every pointed reference to his lack of resources can be taken as a message to the board about last summer's troubled transfer window. Priority targets such as Romelu Lukaku and Alex Sandro were not secured primarily because Chelsea refused to meet the financial demands required to make the deals happen, and those decisions rest with the club's de facto chief executive and transfer negotiator Granovskaia. She is widely regarded as one of the most formidable dealmakers in the business and is determined to get maximum value in the transfer market. This mindset has yielded spectacular results when selling players -- most notably Ramires, David Luiz and Oscar -- but led to more problems when buying. Chelsea were adamant they would not be held to ransom to secure the players Conte wanted, and as a result the Italian's frustration grew. As the board's daily representative at Cobham, Emenalo acted as a valuable intermediary between Conte and Granovskaia. Now that he is gone, it will be interesting to see how their relationship pans out.